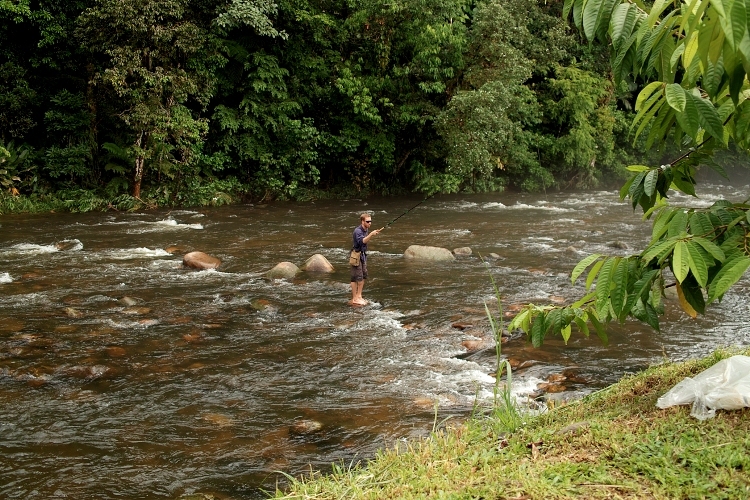 “Tenkara is the traditional Japanese method of fly-fishing where only a rod, line and fly are used. It originated and was perfected over centuries in the mountain-streams of Japan and is the ideal method of fly-fishing small streams. Daniel Galhardo, the president of Tenkara USA will demonstrate Tenkara fishing and give PFF members a chance to try a Tenkara rod for themselves. Of course, you can always bring your own gear and fish with more traditional western tackle. My plan is to arrive on Friday evening, and camp at the SweetWater Campground on Friday and Saturday evening. There is a motel nearby. Daniel has provided a google map that can be accessed from my last email. Location: The meeting place will be the Sweetwater Campground, just off Hwy. 120 at Cherry Lake Rd. About 150 miles and 3 hours from the Peninsula. Equipment: This is small stream fishing; 3-5 wt, long leaders and light tippets.